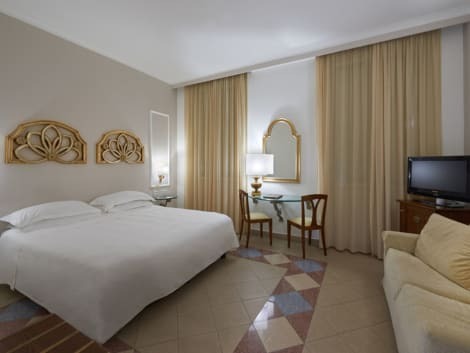 Taking its name from Palermo’s famous theatre, which sits directly opposite, the 4-star Hotel Garibaldi sits in the heart of the city, close to many historic sites, as well as a great selection of shops and restaurants. Unwind in the hotel’s stylish American Bar and enjoy the convenience of free internet and indoor parking. Hotel Garibaldi’s rooms all have air conditioning, laptop safes, LCD TVs with satellite channels, tea and coffee making facilities and private bathrooms with rain showers. The Astoria Palace Hotel is a modern building, located in a strategic location between the port, the city center and Mondello, the most popular seaside resort. The hotel has 326 standard rooms, superior rooms, suites and includes many amenities such as private parking (unguarded), 24-hour reception, an elegant American bar, a business corner, WIFi, four restaurants including the famous "Cedar", which offers a variety of Sicilian and international dishes. 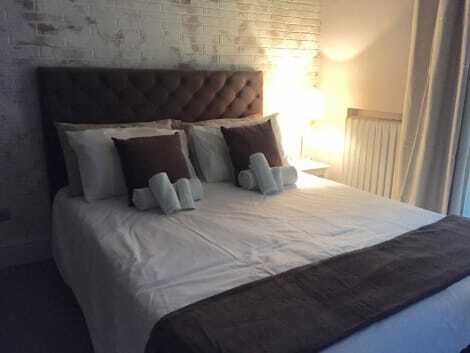 Rooms at the hotel are equipped with WIFI, LCD TV connection, air conditioning, minibar, telephone and safe. Located in the heart of Palermo, the establishment occupies the old Palazzo Tarallo building keeping the original structure and becoming a special pace with vintage frescos and furniture. Furthermore, the hotel is part of the Arab-Norman route, declared a World Heritage Site by the UNESCO. The Hotel Eurostars Central Palace 4* offers 104 family rooms, double superior rooms, diplomatic suites and junior suites, among others. All these spaces are decorated in a classic and smart style to ensure maximum comfort to the guests who come to the city. 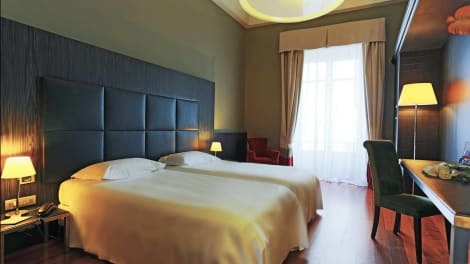 A modern 4-star hotel found in the bustling heart of Palermo, the Hotel Vecchio Borgo is within walking distance of the Port, and near Piazza Politeama, as well as a great selection of bars and restaurants. During your stay you can relax in the lounge bar or elegant lobby and stay connected with the complimentary wi-fi, while the hotel’s daily breakfast showcases local flavours. 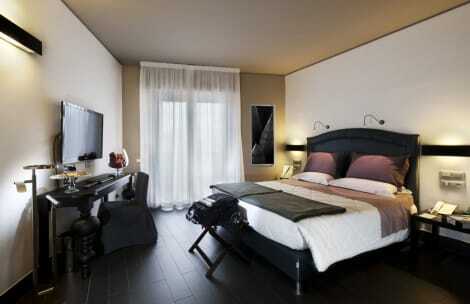 All of Hotel Vecchio Borgo’s rooms are elegantly decorated and have LCD satellite TVs and private bathrooms. Make yourself at home in one of the 86 individually decorated guestrooms, featuring minibars and LCD televisions. Your bed comes with down comforters and Frette Italian sheets, and all rooms are furnished with double sofa beds. Rooms have private balconies. Complimentary wireless Internet access keeps you connected, and digital programming is available for your entertainment. Private bathrooms with shower/tub combinations feature deep soaking bathtubs and rainfall showerheads. 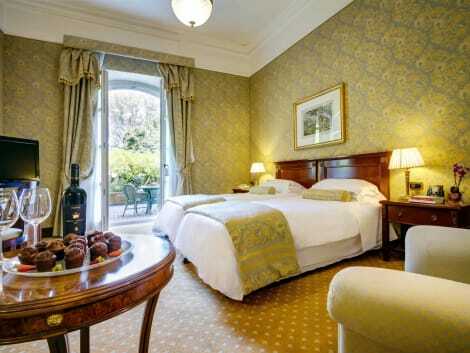 A classic boutique hotel in Palermo’s historic centre, the 4-star Hotel Porta Felice is found near the Piazza Marina. This 18th century building has been fully renovated and has a spa and a bar and restaurant with a terrace, offering a panoramic view over Palermo’s rooftops. 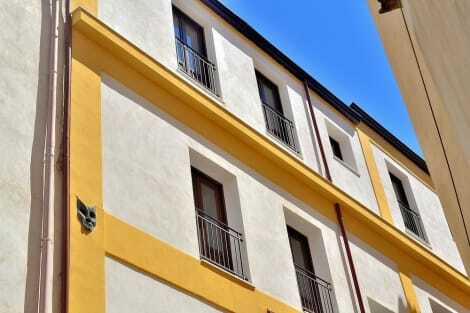 Hotel Porta Felice’s rooms are furnished in a contemporary style and have satellite TV, laptop safes, air conditioning, minibars and private bathrooms. Classic and elegant, the 4-star Residenza d’Aragona is found in the heart of historic Palermo, close to the Teatro Politeama and Teatro Massimo. The B&B offers free wi-fi, as well as a variety of accommodation options, including suites, studios and 2-bedroom apartments. Each has been furnished in a classic style with LCD satellite TVs and private bathrooms as standard, apartments offer kitchenettes, while guests staying in suites can help themselves to the breakfast buffet. 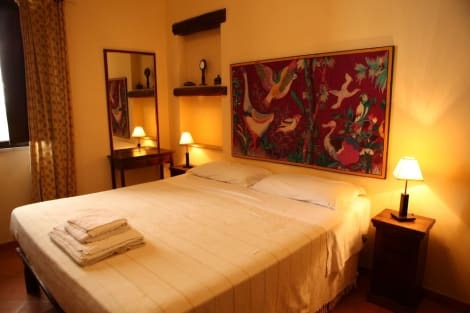 Found in an historic former palace, the Palazzo Brunaccini Boutique Hotel sits in Palermo’s old town, near Ballarò Market. Specialising in Sicilian cuisine, the on-site restaurant serves a continental breakfast and regularly hosts cookery classes and wine tastings. Palazzo Brunaccini’s décor combines contemporary and classic styles and is inspired by local culture, while its rooms include modern comforts like flat-screen satellite TVs, wi-fi, air conditioning and private bathrooms with showers. Satisfy your appetite at the hotel's coffee shop/café, or stay in and take advantage of the room service (during limited hours). Quench your thirst with your favorite drink at the bar/lounge. A complimentary local cuisine breakfast is served daily. Make yourself at home in one of the 5 air-conditioned rooms featuring refrigerators and flat-screen televisions. Complimentary wireless Internet access keeps you connected, and digital programming is available for your entertainment. Private bathrooms have complimentary toiletries and hair dryers. Conveniences include safes and coffee/tea makers, and housekeeping is provided daily. Make yourself at home in one of the 20 air-conditioned rooms featuring refrigerators and minibars. Rooms have private balconies. Complimentary wireless Internet access is available to keep you connected. Private bathrooms with showers feature bidets and hair dryers. Enjoy a satisfying meal at Il Gattopardo serving guests of Grand Hotel Et Des Palmes. Palermo is the regional capital of the Mediterranean's largest island, Sicily. Book a Palermo hotel with us and discover one of Italy's biggest cities and one with an identity all its own. It seems that almost every invading force has at one time or other sought to get its hands on Palermo. From the Phoenicians, the Carthaginians, the Greeks and the Romans to the Normans, the French and the Spanish Bourbons, the list goes on. Inevitably this has led to an influence on the city's cultural evolution and you'll find that there are local dishes and place names that are clearly not Italian in origin. An example of external cultural influence can be seen in the Arab-Norman-Byzantine construction, Palazzo dei Normanni. Within you'll see gorgeous mosaics depicting biblical scenes, and an intricately-painted wooden roof. And La Matorana church, with its sumptuous interior decorated with 12th-century frescoes and mosaics is possibly the best example of the cross-pollination of cultural styles. Probably Palermo's most attractive square, Piazza Pretoria is where you'll find the beautiful Fontana Pretoria, depicting the gods of Olympus. Built in Florence by Francesco Camilliani, it was moved to its present location in 1581. A great way to learn about the history of Palermo is through its art. The Galleria Regionale della Sicilia (The Gallery of Art for Sicilia) is housed within the Gothic-Catalan edifice, Palazzo Abatellis. Here you'll see paintings, sculptures, lacquered cabinets, painted panels and much more, hailing from as far back as the 12th century. Whether you're looking for a friggitoria serving fried food such as rice balls and deep-fried pasta or a trattoria serving black squid spaghetti topped with buttery Sicilian sea urchin, gourmands will be spoilt for choice. And if all you desire is a classic sfincione pizza made with softer dough and oodles of sauce, Palermo will have it. There are plenty of coffee bars serving everything from Sicilian to Arabian brews during the day and into the evening, ideal for a rest and a chat. If you're a little unsure of the tasty treasures that Palermo has to offer, take a street food tour. Work up an appetite while a local expert shows you the best places to eat and a little of the history of the city and its cuisine. The Champagneria area, in front of the impressive Teatro Massimo is a lively spot enjoyed by revellers, and the Kalsa quarter has lots of wine bars. Viale Strasburgo and Via Generale Arimondi Giuseppe are where many of Palermo's clubs can be found and Via dei Candelai is popular with the younger set. You'll find nightspots where DJs spin their dance sounds, rock venues and gay-friendly bar and clubs. Palermo has an array of famous brands, boutiques selling high-end fashion, craft and gift shops, and much more. There are markets aplenty, brimful of fish, fruit and vegeSEOSITE_LEVEL_DESCRIPTIONs.